Rob and friends joined us for a offshore tuna charter and enjoyed what must be one of the best weather days so far this month. 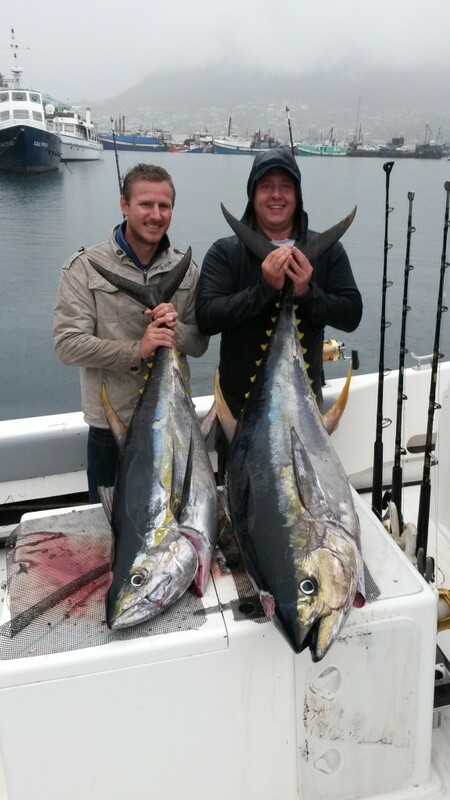 To top it they hooked into a 100.78kg yellowfin tuna which took a liking to one of our lures. 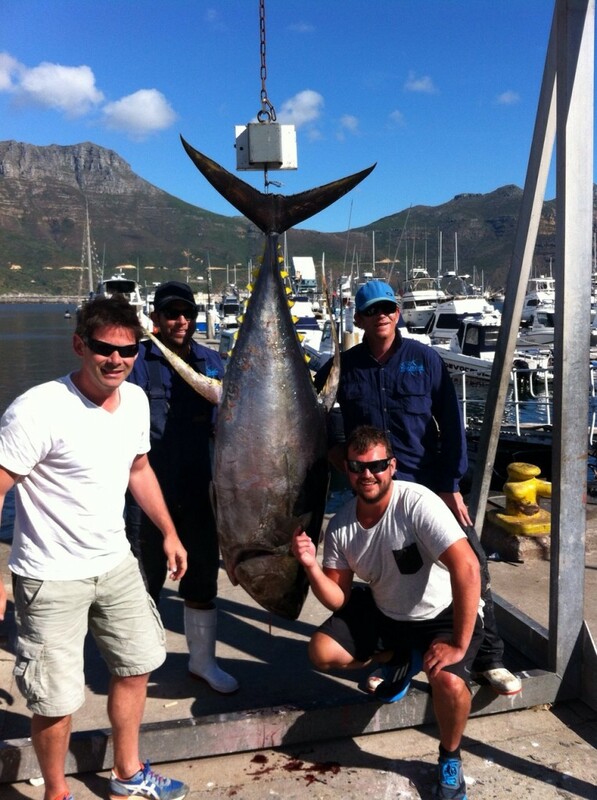 After an exhausting fight the guys managed to land the huge tuna. Well done to the clients and Skippers Dave and Wernon whose expertiese pulled through. 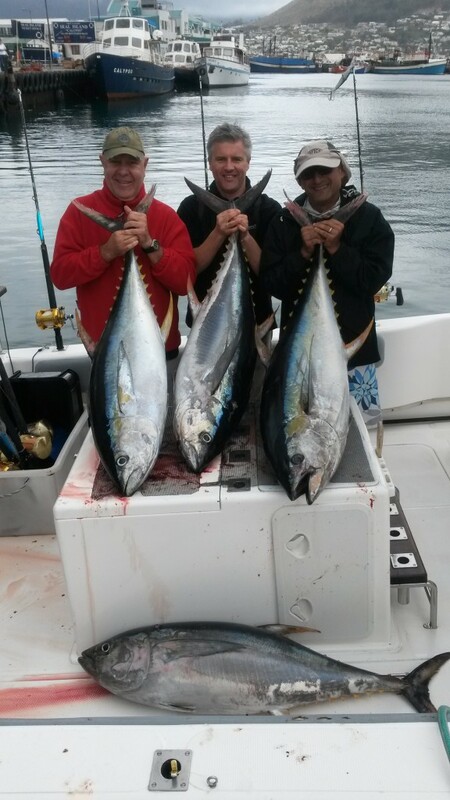 Landing big tuna is always a team effort. Only about 25 anglers have ever taken an officially weighed 100 kg tuna in SA according to Nick de Kock quoted in Ski Boat Magazine. Obsession and Two Oceans Sport Fishing Charters now have landed 6, the only ski boat in South African Angling history to ever achieve this feat! Well its not the usual time of year for us to be catching yellowfin but no complaints from our side. 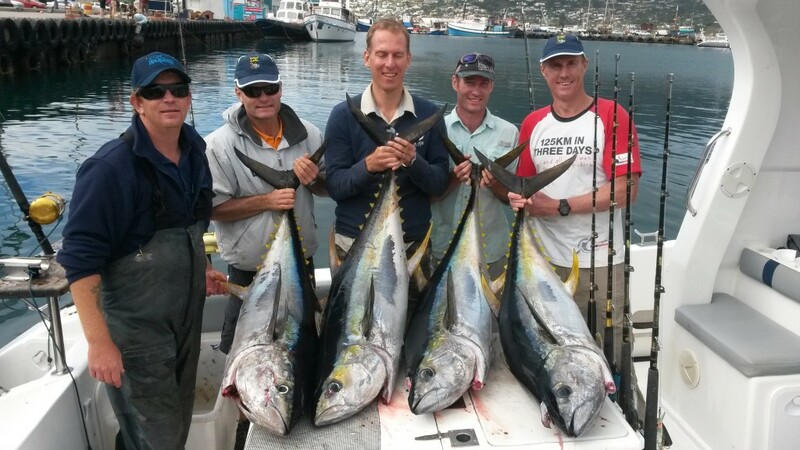 We have been enjoying some excellent fishing with great catches over the past three charters this week. Hi guys, fell a bit behind on my catch reports as I am recovering from a shoulder operation – and yes it is a fishing injury. As I always say if you are not breaking tackle you are not catching fish… enough said. Obsession and Jaguar have been having some great catches and have been busy. We have had a few magnificent weather days as well. Below are a few pics from a few of the recent trips. The good fishing will run through to end May so their is still plenty of time, if you are keen to fish let me know. Cheers Dave. Obsession smashes 100kg – again! 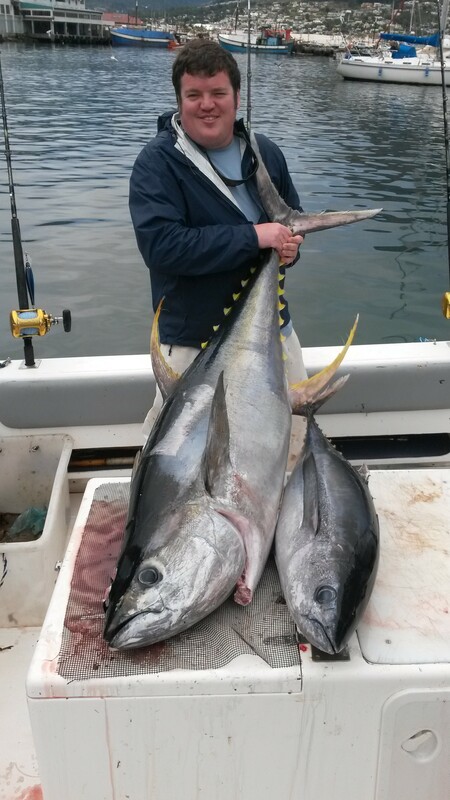 Gary had the day of his life fishing today onboard Obsession landing a 101kg yellowfin tuna onboard Obsession. Gary joins the elite 100kg club with Two Oceans as well as being one of about only 20 anglers in South African history to land a 100 kg yellowfin tuna. 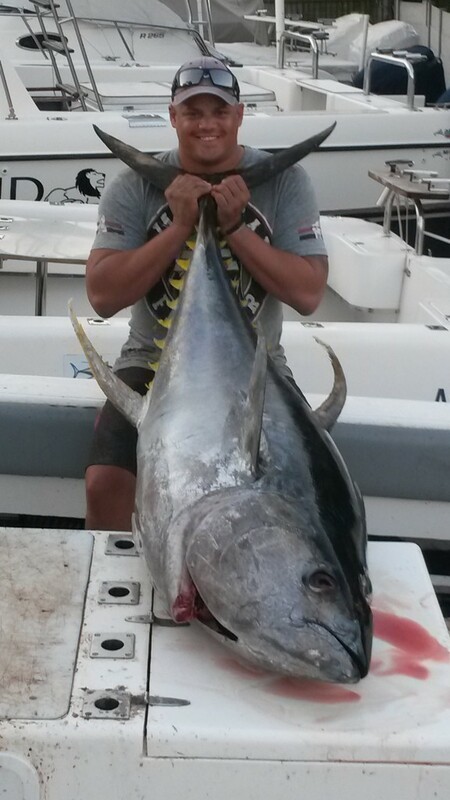 Obsession now boasts five 100 kg tuna caught off her – the only ski boat in South Africa to claim this achievement! Well Done Guys! Bill joined us for an offshore charter onboard Obsession. He said the experience greatly exceeded his expectations and that this was the biggest and most powerful fish he had ever hooked. Kudos to the Two Oceans Team! Good weather, and a great charter onboard Jaguar. Well done guys on an excellent catch. Needless to say everyone caught a huge yellowfin tuna. Fabian – Best day fishing of my life! A good friend and multiple repeat client of our’s Fabian enjoyed a great day out on Obsession yesterday with a great catch of yellowfin tuna and non stop action. He said it was definitely the best day’s fishing he has ever had. Great to have you onboard again Fabian and we are looking forward to seeing you again soon in November. Gary and his mates joined us for an offshore charter onboard Obsession. The guys had a great day out with everyone having a great catch. A phrase that is no commonly heard onboard Obsession. In fact my clients over the past three charters have all said it to me. It really is great to be able to share in some great fishing memories with new friends. The tuna run continues with excellent catches being made off both Obsession and Jaguar. It is a great sign for the April May Season. Hope to see you onboard! Well its been a busy February for us and we have enjoyed some excellent fishing. 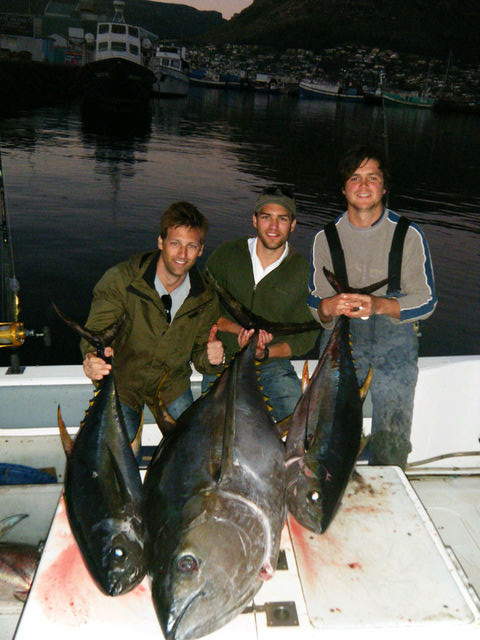 Of note are the large numbers of yellowfin tuna that have been around, not a usual occurrence for February. Also mention must be made of several marlin again being seen and a few caught right from Cape Point out to the Canyon area. 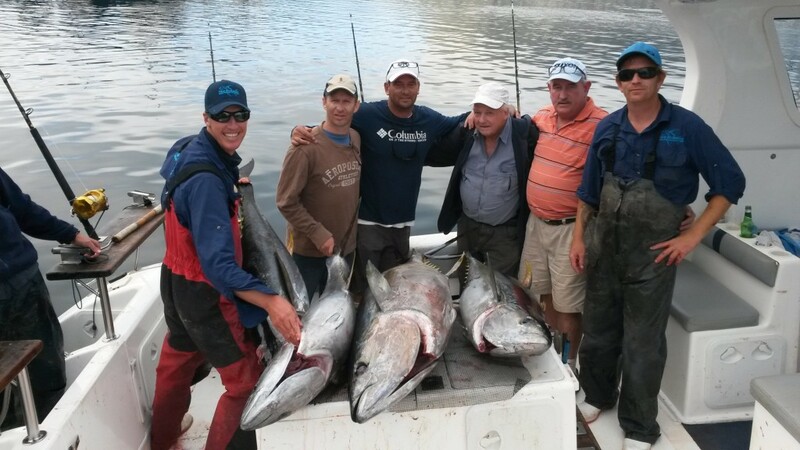 Both inshore and offshore we have enjoyed memorable trips out and made some new friends. I want to thank you once again, I had two of the best fishing days of my life last week. I hope we’ll see you soon again!